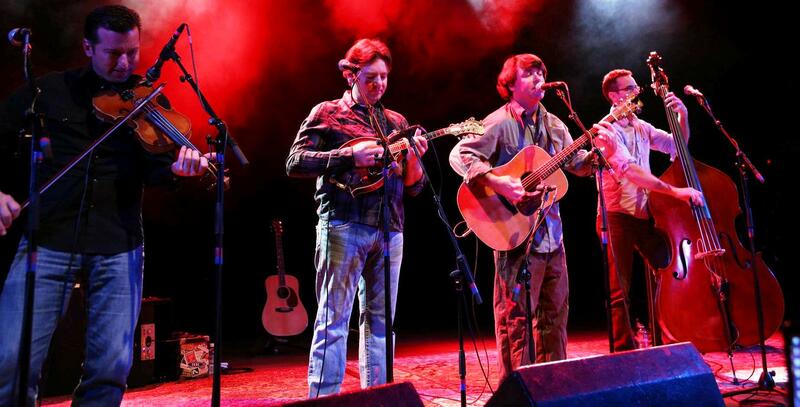 Multi-faceted artist Keller Williams is constantly surprising his fan base with a dizzying array of new releases and unique projects. He started his career as a one-man band and has gradually over the years become more of a bandleader, directing such excellent endeavors like The Keller Williams Incident, Keller and the WMDs, Kdubalicious, etc. His latest release, the aptly named Pick, teams Williams with one of today's hottest bluegrass collectives, The Travelin McCourys, and it just might be his most fun collaboration yet.Keller has dabbled in bluegrass over the last few years, evident in projects such as Grateful Grass, Keller & The Keels, etc. However, this release is his most true bluegrass effort date thanks to having some of the best in the biz at his side. 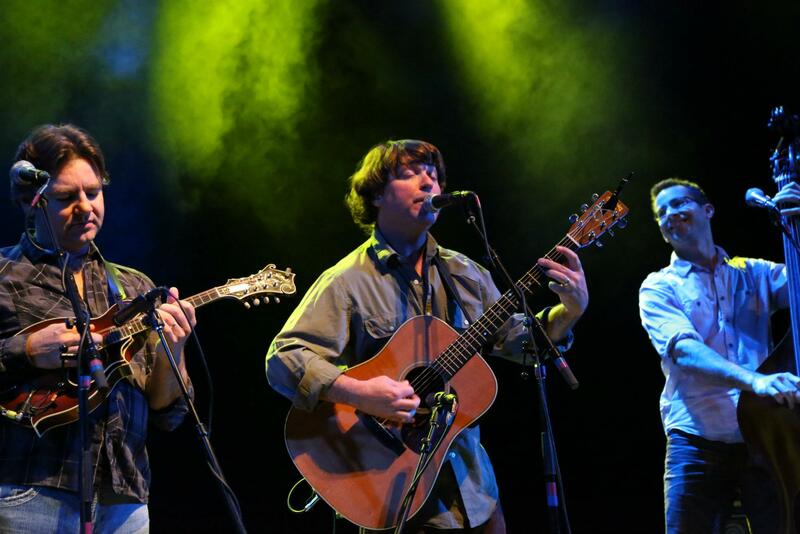 His fans will appreciate his trademark goofy lyrics and airy vocals, while fans of the McCourys will dig the solid instrumentation, vocal contributions, and for keeping Keller a bit grounded by taking the occasional lead.Most of Pick satisfies Keller’s penchant for playing oddly chosen cover songs. In the past he has emulated the likes of Marcy Playground, Amy Winehouse, Tom Petty, Michael Jackson, and more. They are normally witty and even charming, though they are a bit of a novelty. He raises the bar here by having the band join him in performing distinctive covers like My Morning Jacket's "I'm Amazed", John Hartford's "Sexual Harassment", and even pop-singer Jesse J's "Price Tag". On paper this looks a bit disastrous, but the group tweaks these tunes to their bluegrass styling and makes them all their own. This is most evident heard on the superb covers of Mike Doughty's "American Car" (highlighted by some outstanding vocal melodies), and a shuffle-and-boogie take on Steve Earle's "The Graveyard Shift". Some of Keller's older tunes also get the bluegrass treatment here, like the fan favorite "Mullet Cut" and even "I am Elvis". The former has never sounded better as a result of the alterations and additions made by this group. Rob and Ronnie McCoury respectively show off their chops on this track, making this oldie-but-goodie super fresh. The latter is quite different than its predecessor, which was previously released as a jazz version just last year on his album Bass. Haunting instrumentation, especially by Alan Bartram’s deep bass, introduces this tune properly before the band scoots into familiar, groovy bluegrass territory.But where this album really shines is through the new originals. The opening track "Something Else" is an upbeat, dancing picker that features some beautiful fiddle work by Jason Carter. "Broken Convertible" is another newer Keller tune that has a cool shuffle and showcases the brilliant musicianship of the TMs. The finishing track "Bumper Sticker" sees the original McCoury, none other than Del himself, join Keller on vocals for this hilarious and super-charged ode to K-Dub's bluegrass heroes of yesterday and today. He talks of "Sam Bush in the morning / Peter Rowan in the afternoon / I like Larry Keel and Leftover Salmon when I'm howling at the moon”. And one can't help but grin ear-to-ear listening to Del & Keller croon together over "it's hard to mow my lawn, when my grass is blue / sometimes it gets all dirty, like when a hippie don't use shampoo".This is another solid contribution to Keller's already vast catalog of studio releases (this marks his 18th). He has steadily become one hell of a band leader, and the collaborations he has formed show that his genius shines best when he has the right supporting cast. Pick is the perfect example of that, and what a trip to have the Travelin McCourys, and even old papa Del himself, along for the ride.